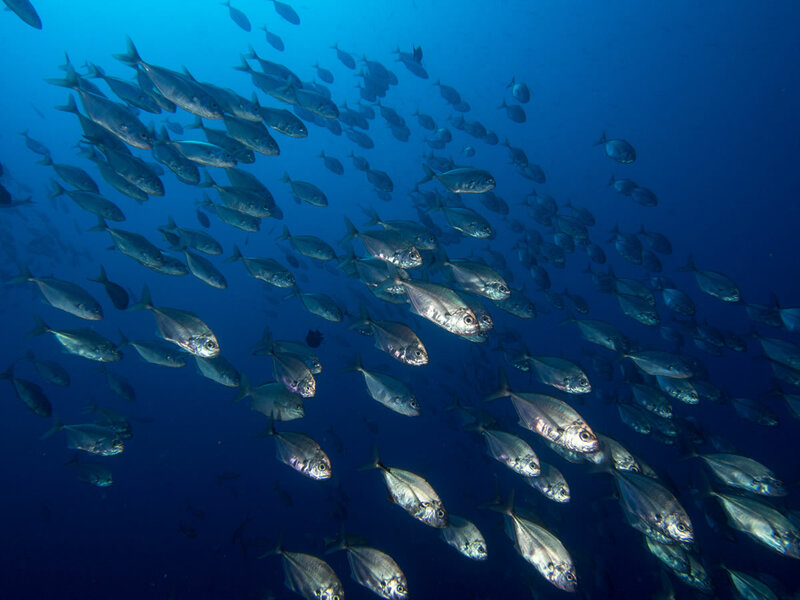 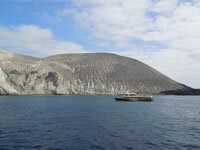 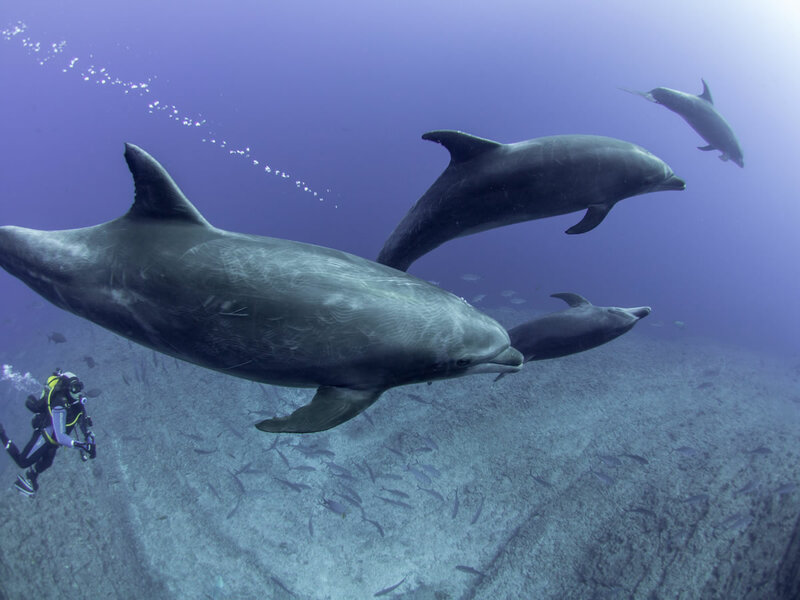 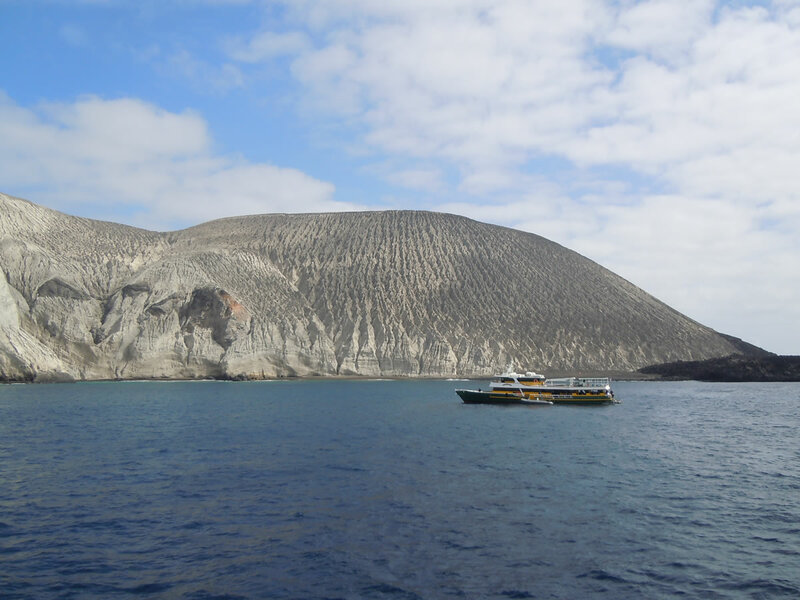 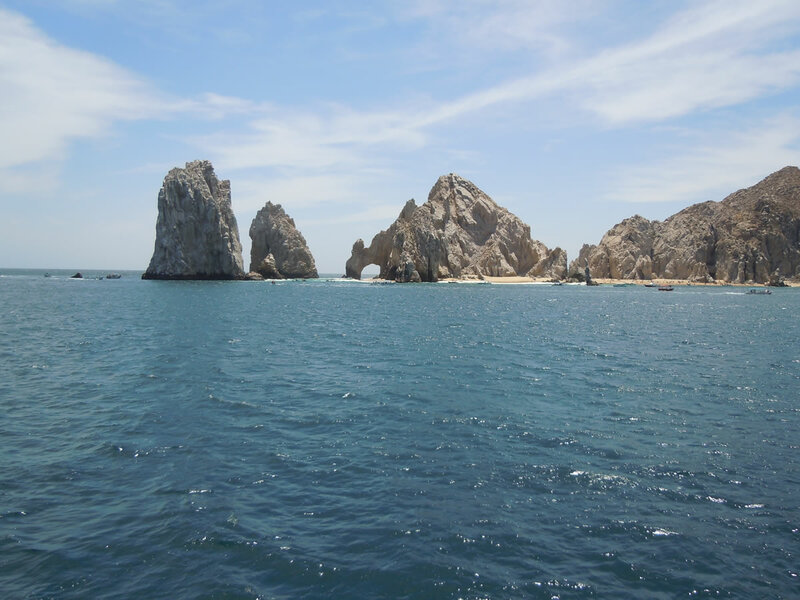 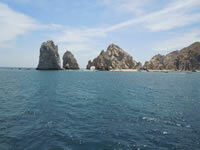 More commonly known as "Socorro", they are a group of three islands about 250 miles south of Cabo San Lucas. 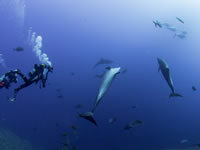 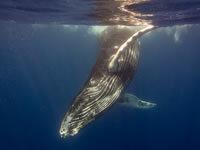 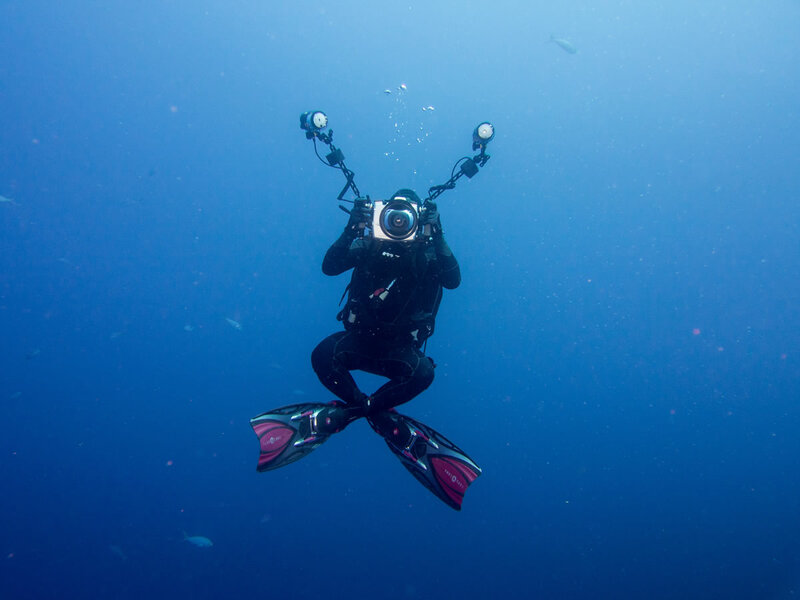 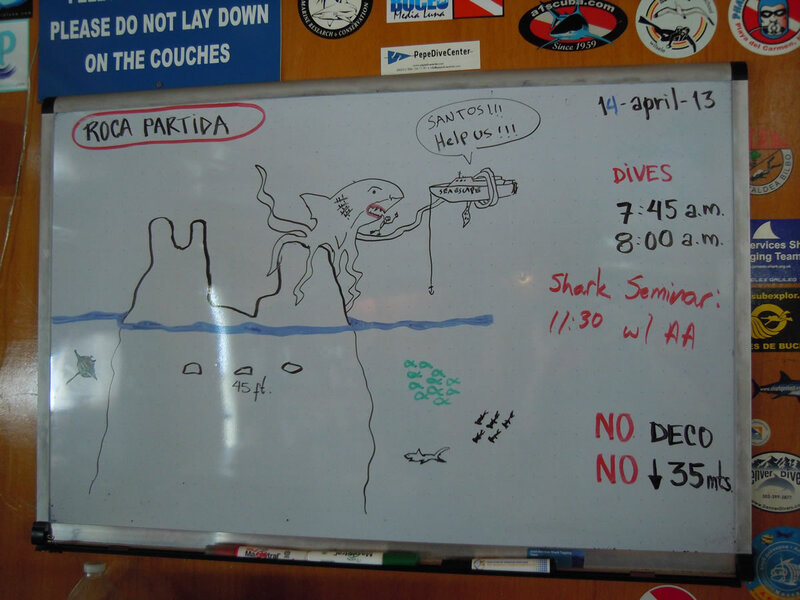 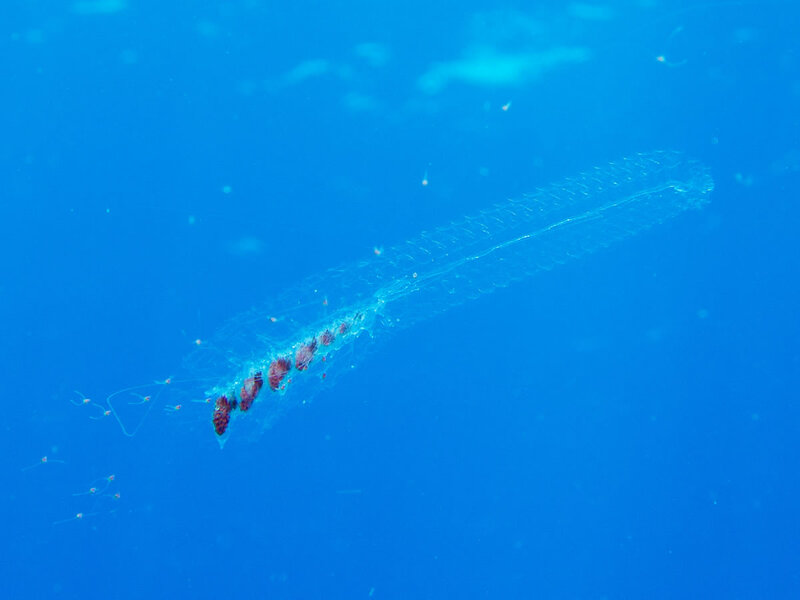 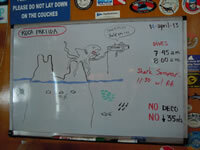 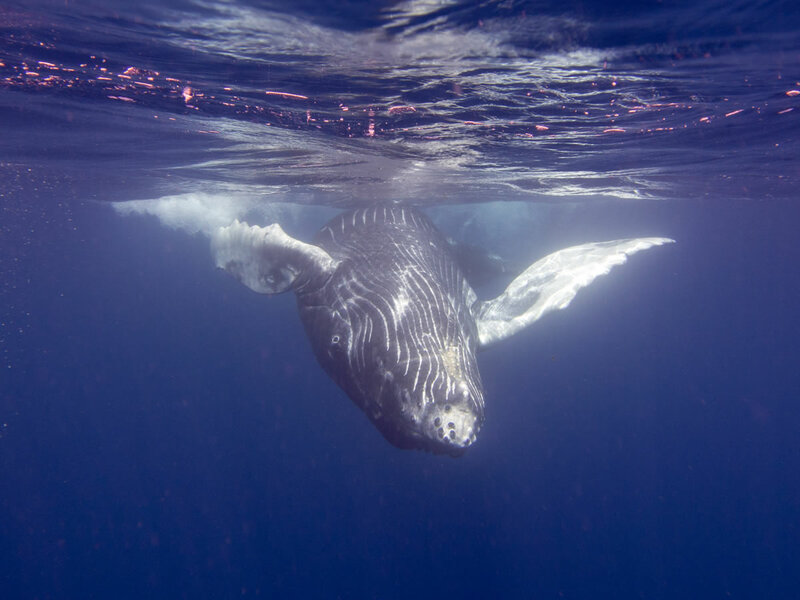 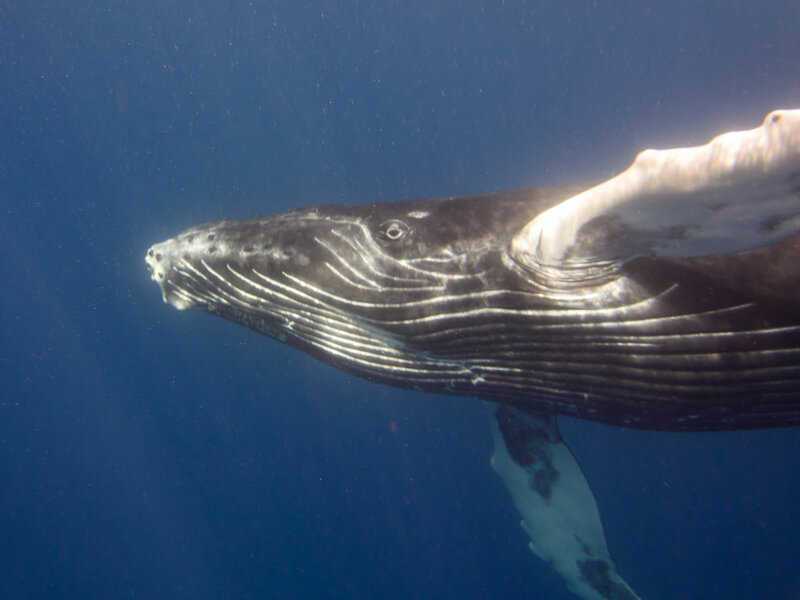 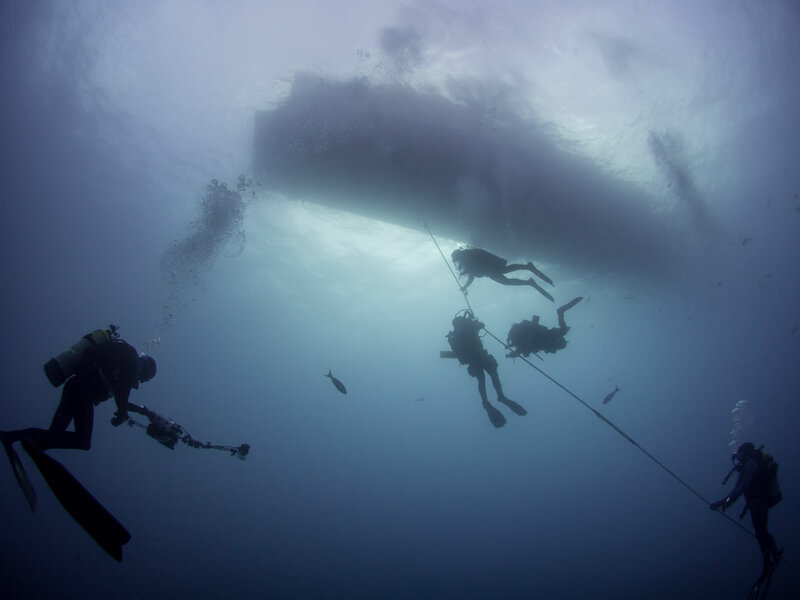 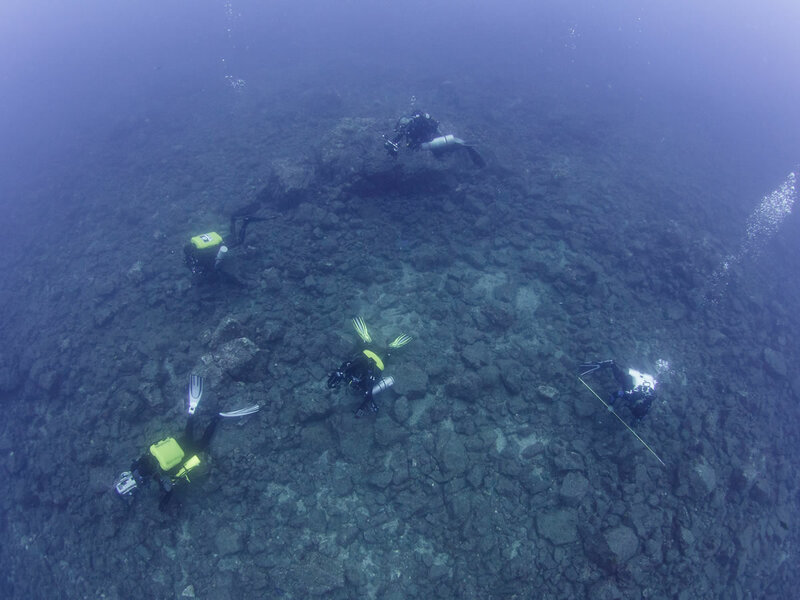 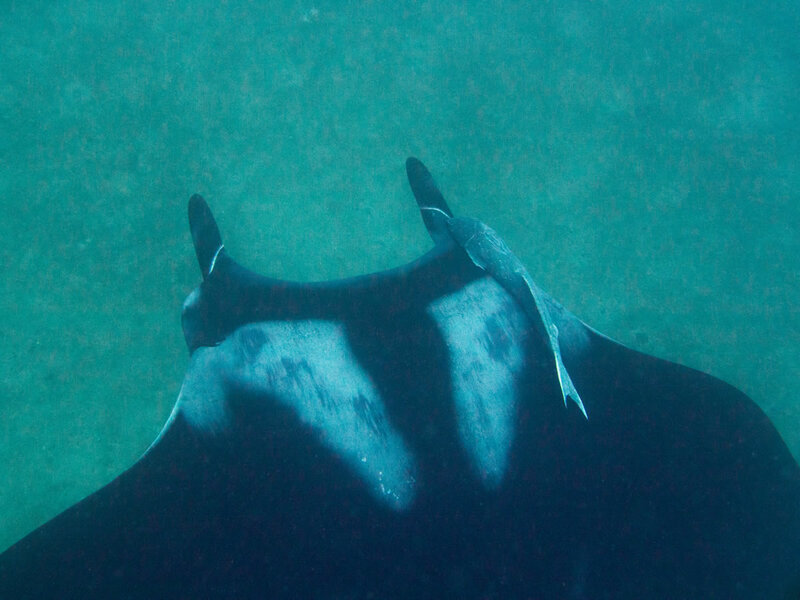 We spent a week diving in the cool 72° water observing sharks, manta rays and listening to humpback whales underwater. The visbility wasn't the best, so I didn't get too many good shots, but here are a few anyway. 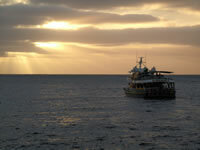 Solmar V liveaboard at San Benedicto. The Boiler at San Benedicto. 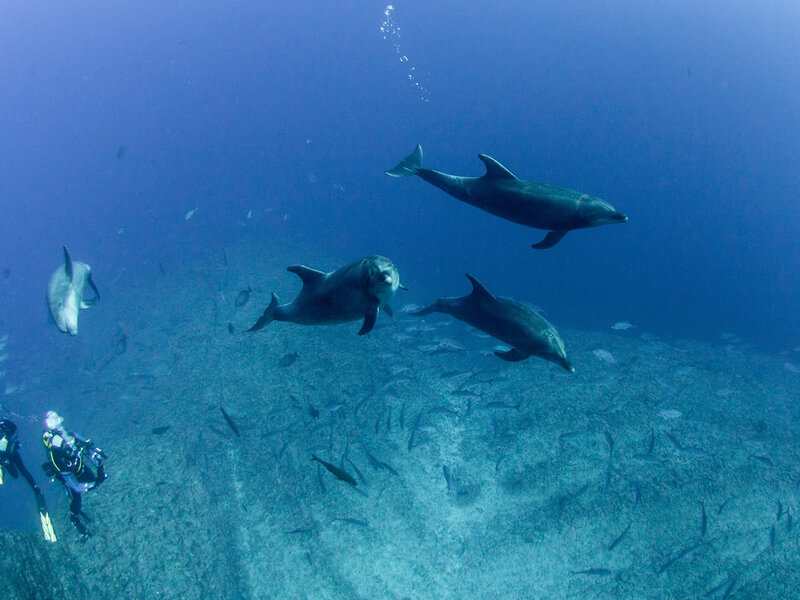 Dolphins greeting us at the Boiler. 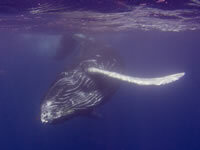 This one was the calf, not the mom. 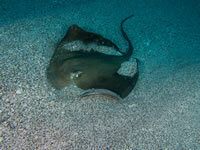 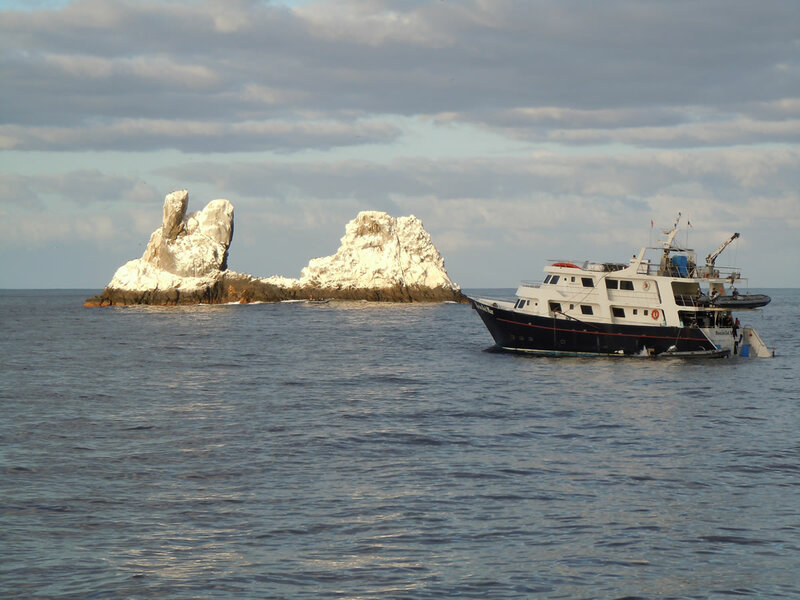 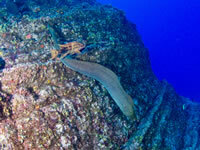 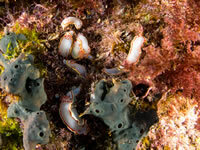 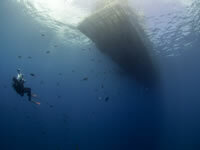 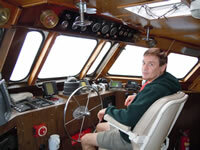 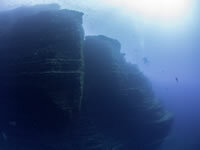 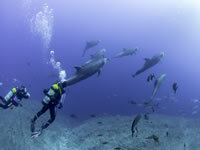 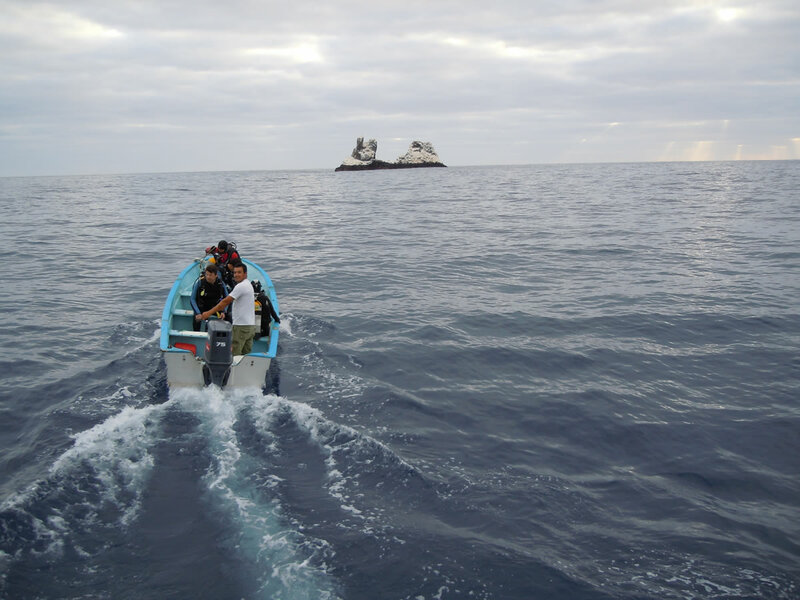 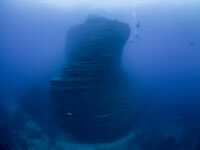 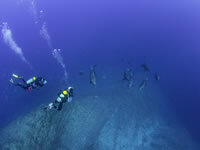 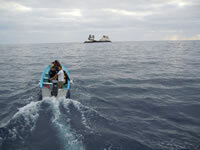 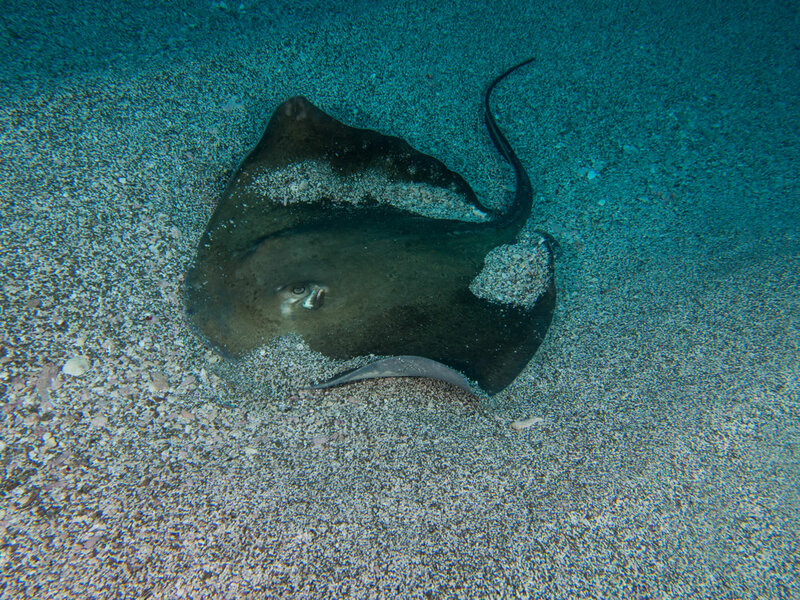 Roca Partida & Rocio del Mar liveaboard. 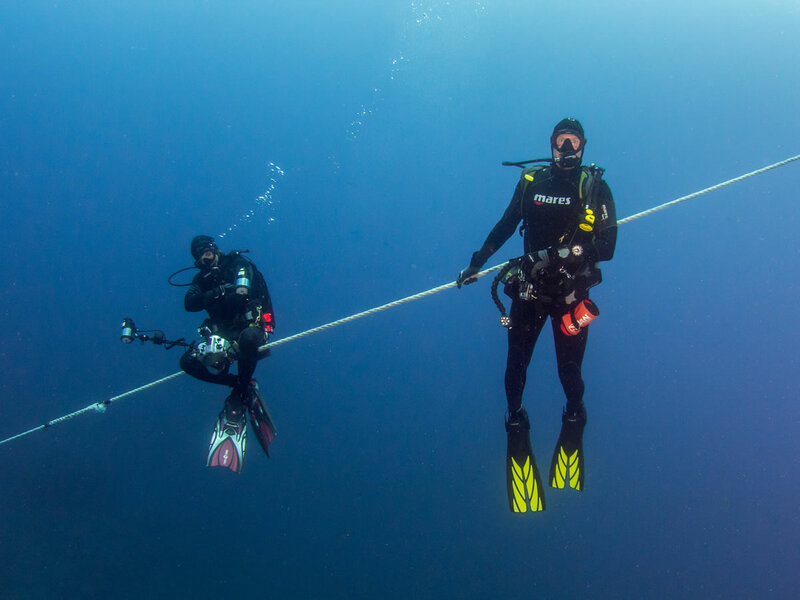 Chad and Dan on safety stop. 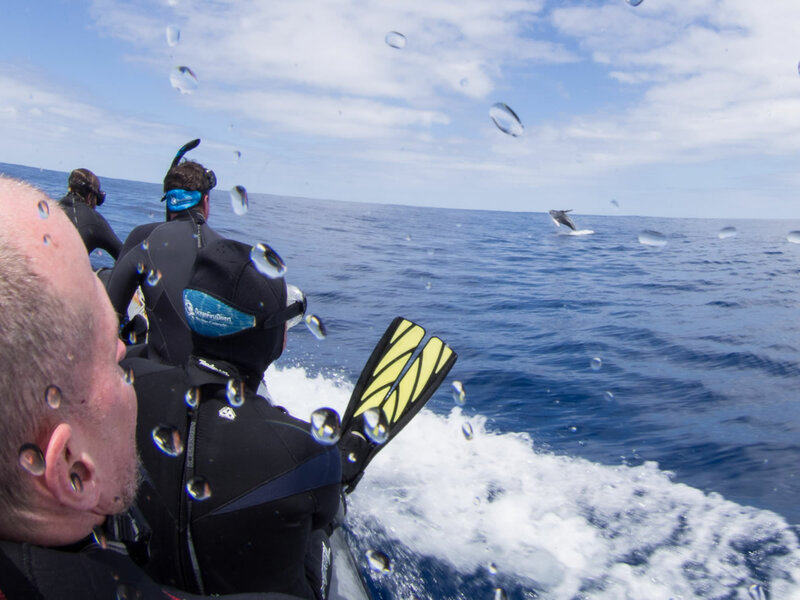 Looking up at the Sea Escape. 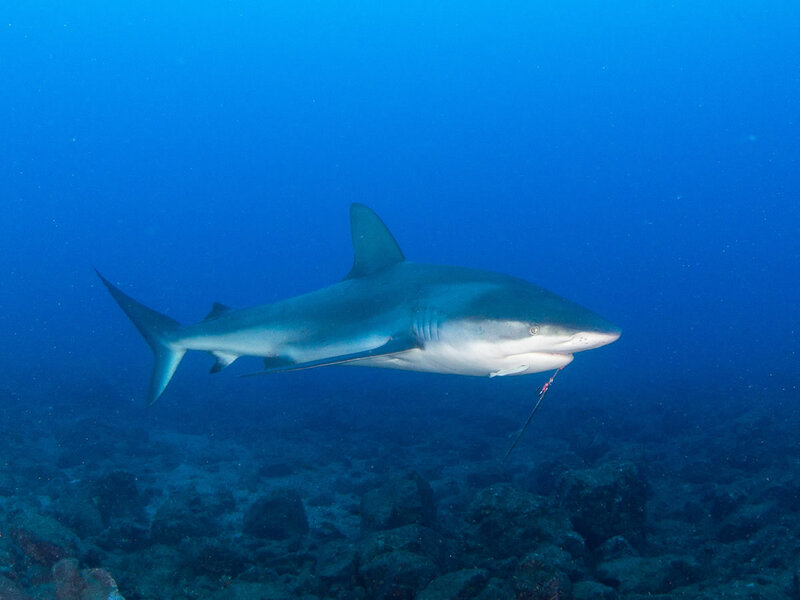 Galapagos shark, I think, with lure still hooked on jaw. 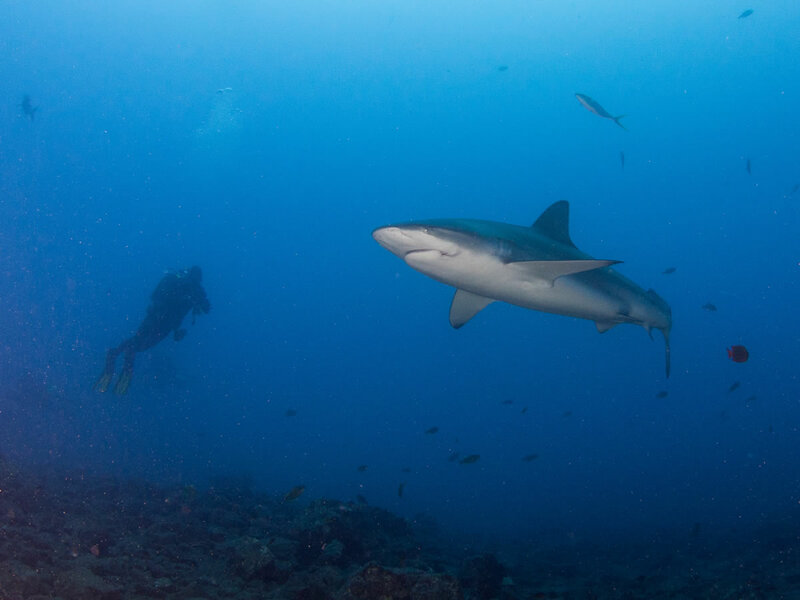 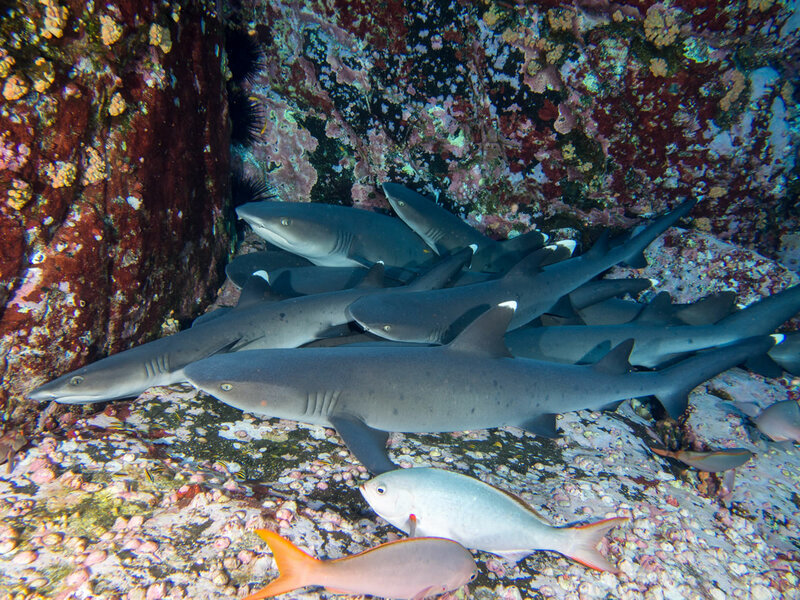 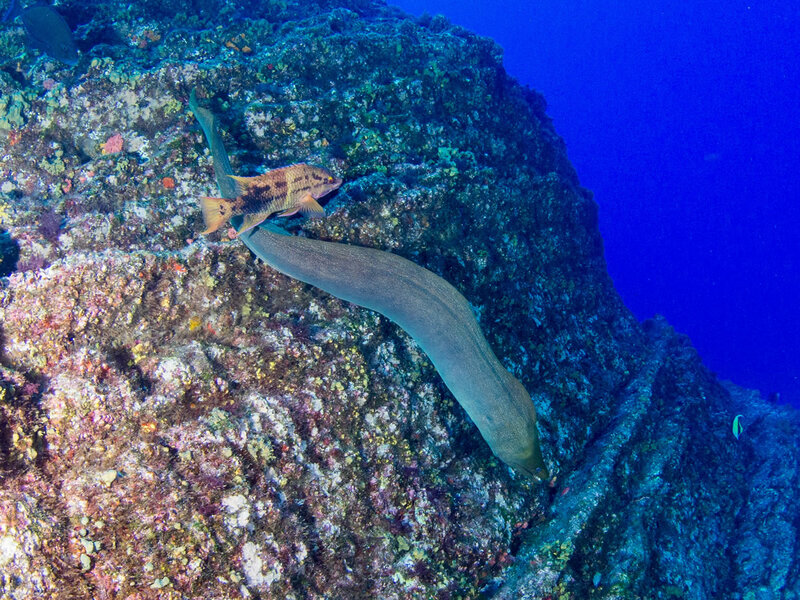 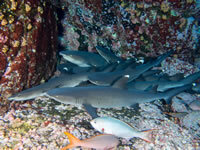 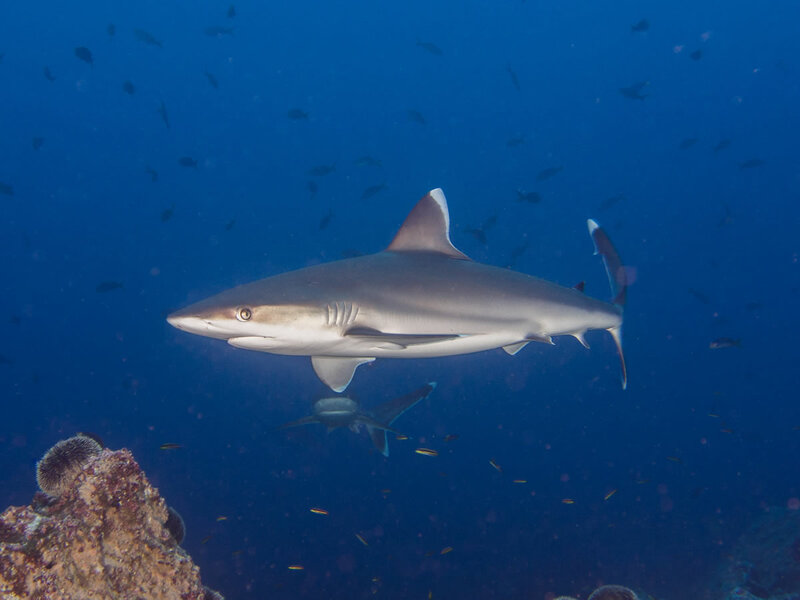 Whitetip reef sharks hanging out on ledge on Roca Partida. 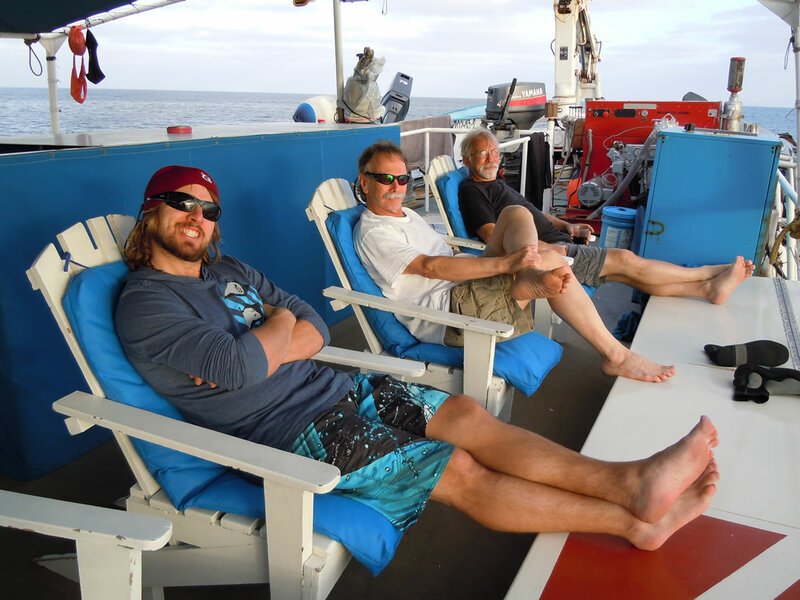 Chad, Bruce & Peter - upper deck of Sea Escape. 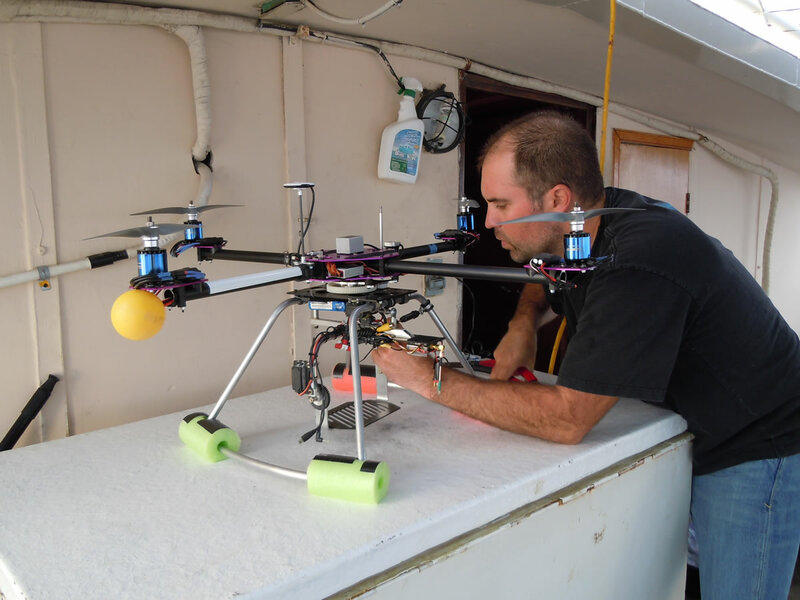 Devon preparing his R/C helo for flight. 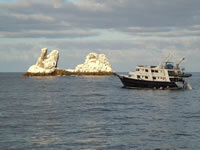 The arch at Lands End.